From Harry Potter news to the Avengers: Age of Ultron trailer leak and the return of the cassette tape, we’ve covered a lot over the past week here at MOARGeek. Here’s a quick recap of some of the stories we covered in our Weekly Rewind. 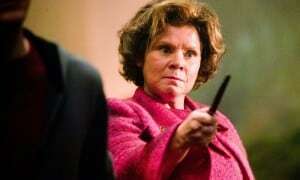 Dolores Umbridge to return in an origins story on Pottermore.com. Potter fans rejoice! 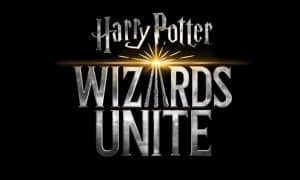 Everyone’s favorite headmistress, Dolores Umbridge, is getting her own backstory on the Harry Potter interactive expanded universe site Pottermore.com. 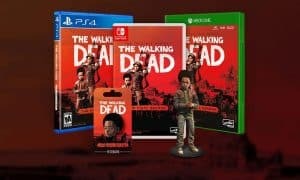 The Wii U gets another third-party game, more horror movies coming to theaters, and Billy Idol proves he is still alive. Check it all out in our inaugural Geek Preview! Jason Momoa was officially announced to play Aquaman in several upcoming DC films… so his Game of Thrones audition take goes viral again. 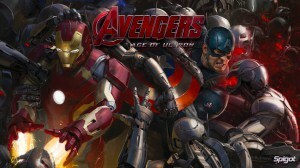 Can’t keep anything a secret these days – the Avengers: Age of Ultron trailer leaked a week early! The new Avengers: Age of Ultron trailer was supposed to air this week during Marvel’s Agents of S.H.I.E.L.D. Shortly after some images leaked online however, the entire Avengers: Age of Ultron trailer has followed suit and leaked early, and can be viewed RIGHT NOW! Reddit user Hookswords recently posted his stunningly detailed recreation of the iconic Snowspeeder from Empire Strikes Back – complete with tow cable! 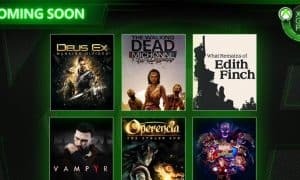 With the Xbox One October update public release out of the way, Xbox has announced new features coming to the console in their November update which focus on customizing the dashboard. Hearthstone is set to hit mobile phones and Android tablets soon. 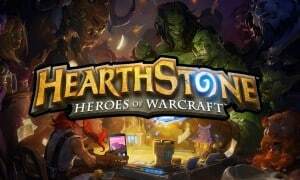 A few of us here are big fans of Blizzard’s Hearthstone. Blizzard has released a fireside chat to update Hearthstone’s 20 million players about the game’s upcoming port to iPhone and Android devices. Holy Internet drama Batman! Code Avarice has issued an apology for the Twitter tirade and death threat directed at Gabe Newell that resulted in the game being removed from Steam. Star-Lord’s beloved Awesome Mix, also known as the Guardians of the Galaxy soundtrack, will be making the jump to cassette tape on November 17th. Yes, CASSETTE tape. They’ll make anything these days – Eric Cantor’s 2012 song “Actual Cannibal Shia LaBeouf” now has a live action version and it is just amazing as you’d expect. He’s brandishing an ax! Check out the review of last week’s The Walking Dead episode! 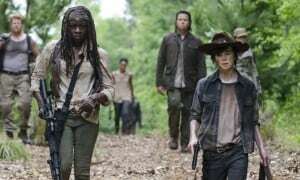 The Walking Dead follows up its explosive season five opener with a surprisingly good filler/set-up episode that was heavy on dialogue and light on walkers.